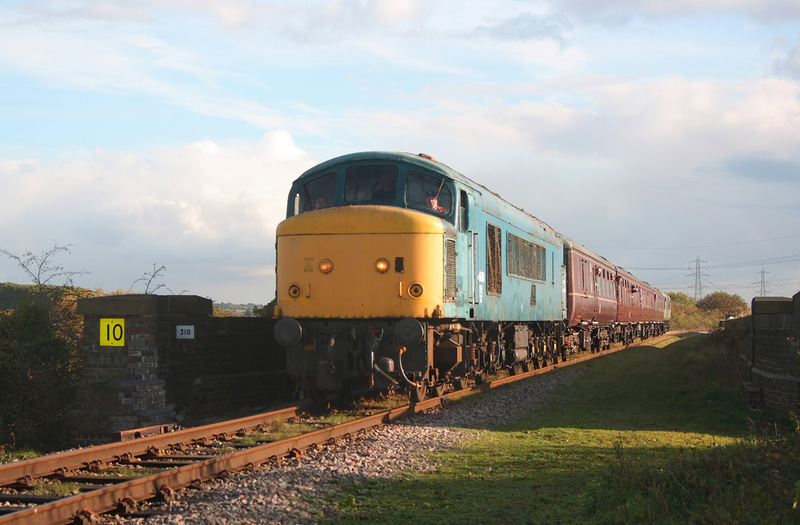 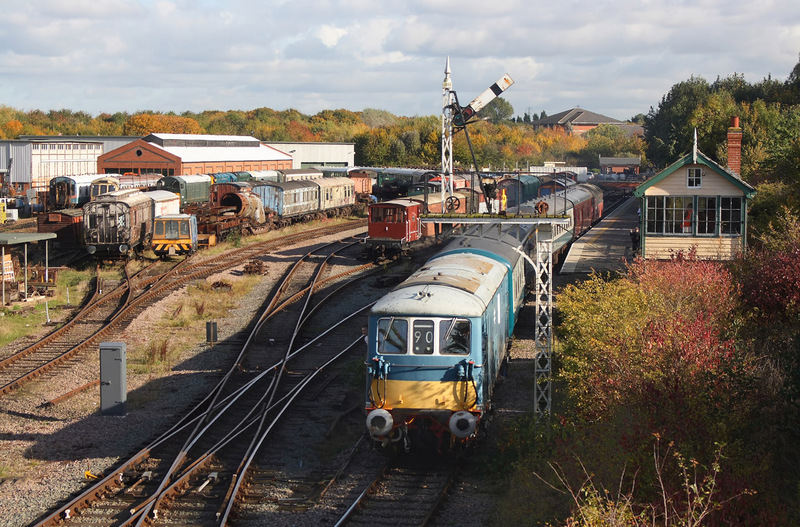 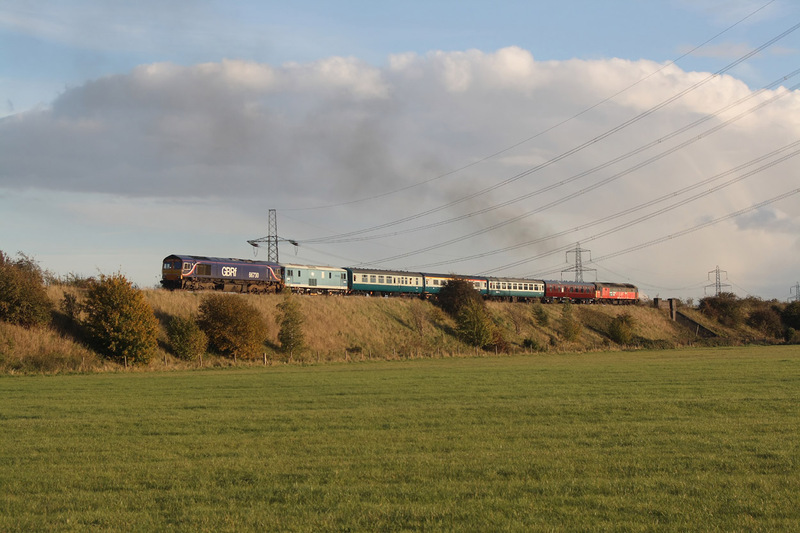 With all services being top and tail,the rear loco only travels a short distance from Ruddington station to Ruddington South Jnct. 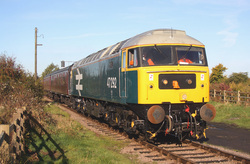 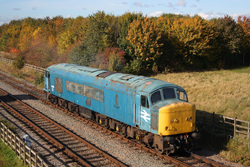 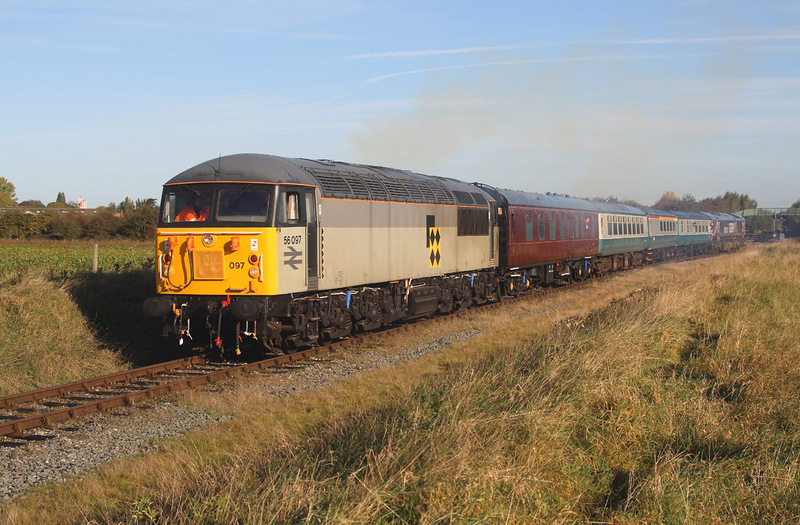 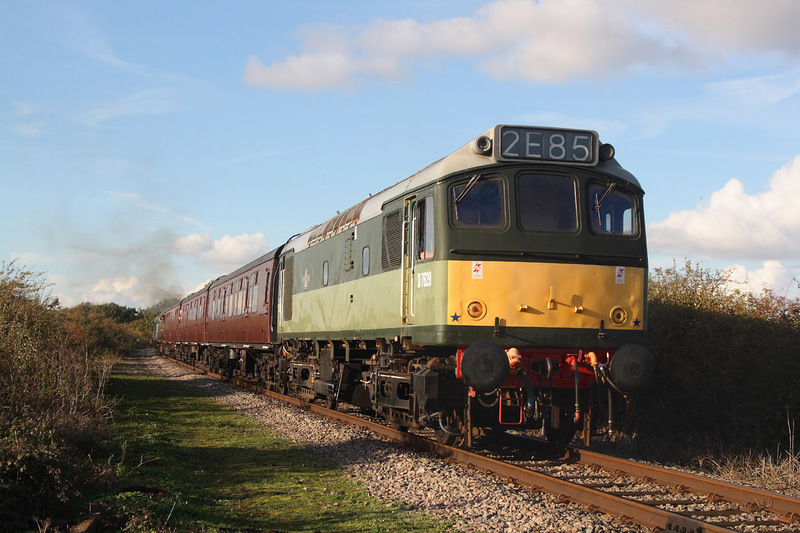 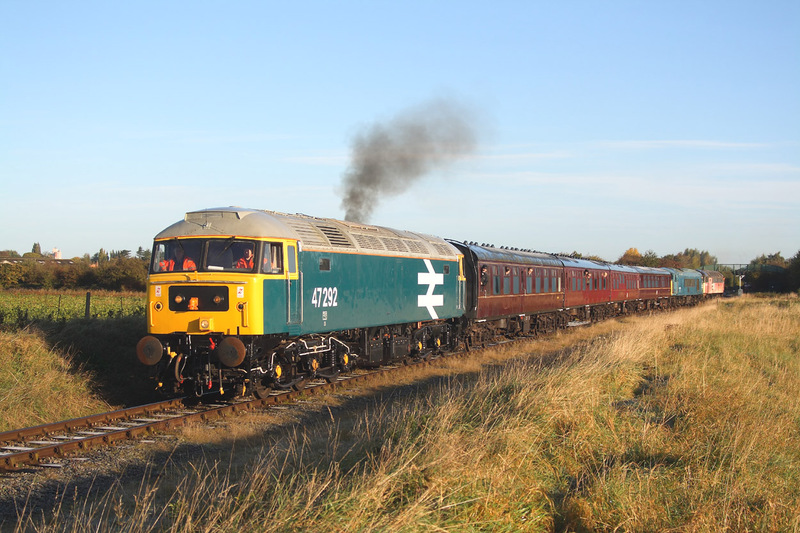 Large Logo 47229 now heading 1A01 ,09.15 Ruddington to Loughborough . 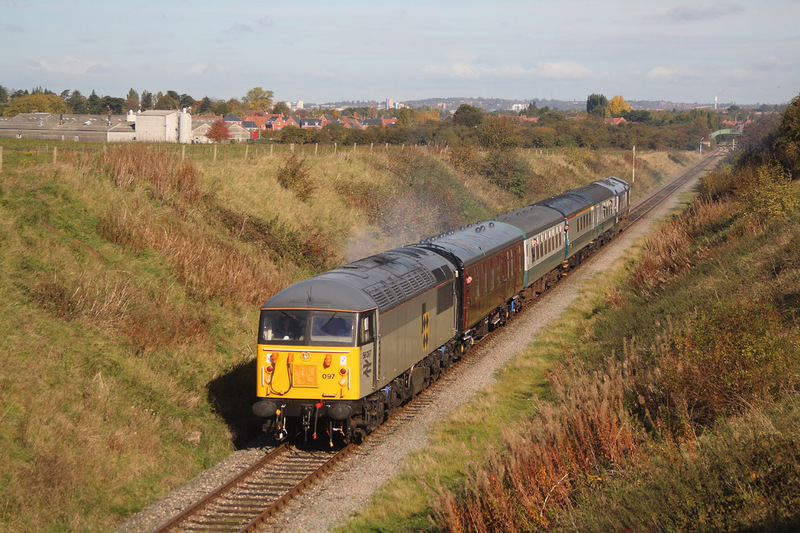 56097 makes a bit of a fuss departing Ruddington South Jnct.,after taking the lead on 1A03 10.00 Ruddington to Loughborough. 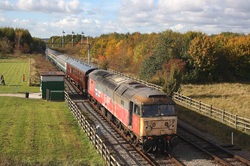 56097 leaves Ruddington South Jnct. 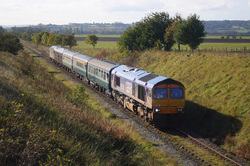 with 1A03,the 10.00 Ruddington to Loughborough service. 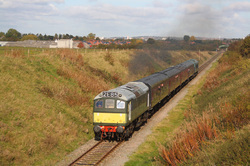 47229 now leads 1D02,from Ruddington South Jnct. 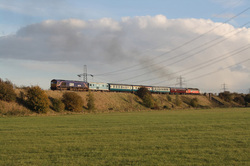 to Ruddington station and passes Asher Lane crossing with the 10.01 Loughborough to Ruddington service. 46010 about to back onto stock sitting in Ruddington station,which will then form 1A09,the 13.00 to Ruddington South Jnct,where D7629,on the rear, will then lead onto Loughborough. Having led from Ruddington South Jnct,a tatty looking 47765 approaches Ruddington station on 1D08,the 12.45 from Loughborough. 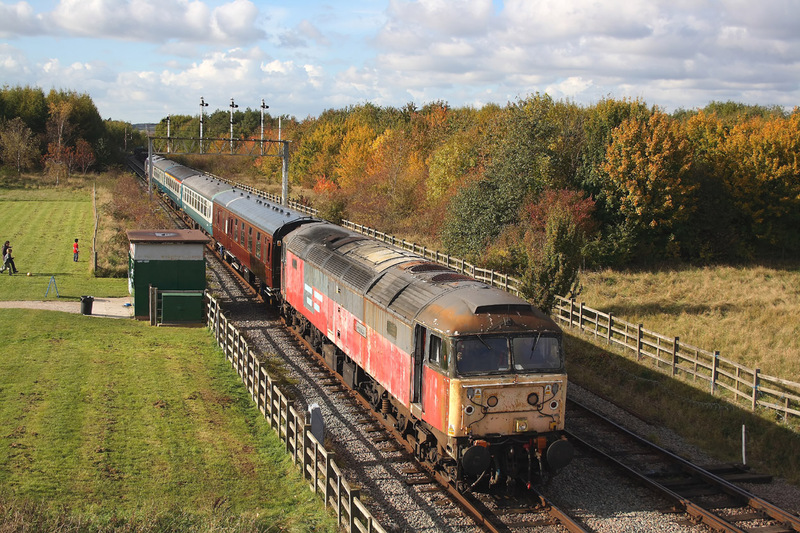 E6016 departs Ruddington station on 1A11, the 14.00 to Ruddington South Jnct,where 47765 will take the lead onward to Loughborough. 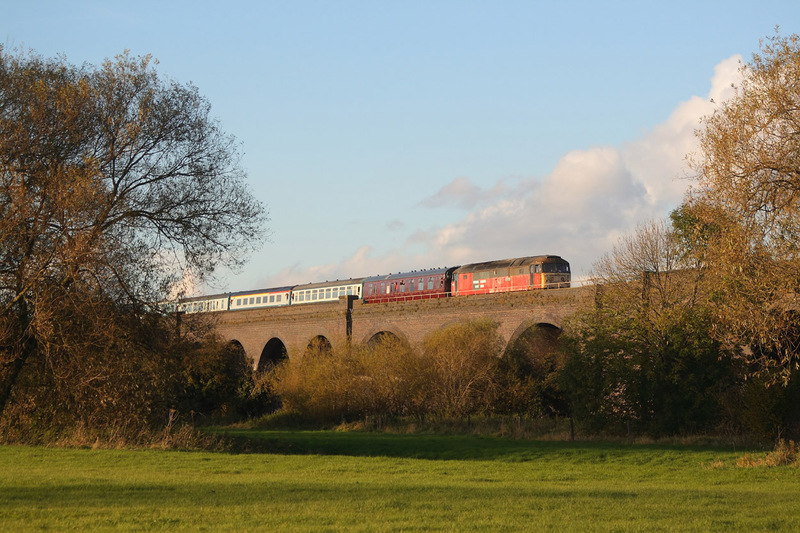 46010 on the rear of 1A13,the 15.00 Ruddington to Loughborough service,passes over Stanford On Sour viaduct. 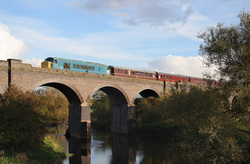 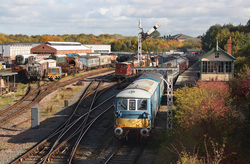 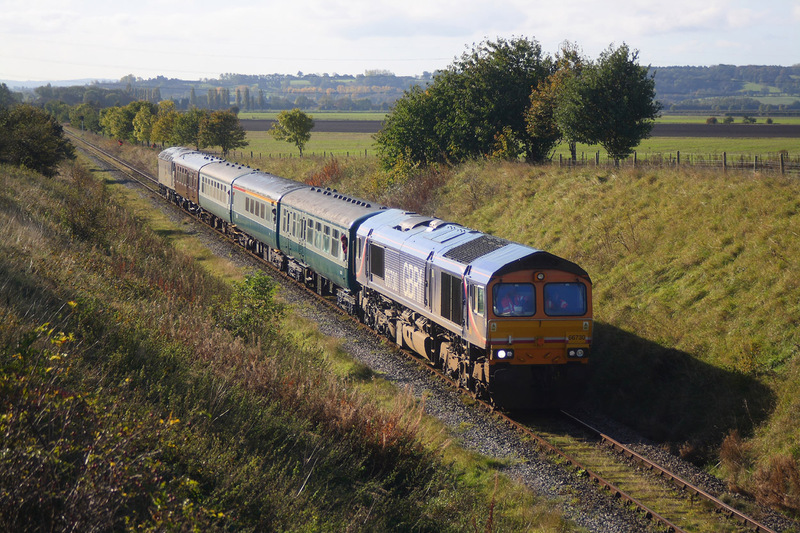 46010 crosses Stanford On Sour viaduct working 1D14 ..15.45 Loughborough to Ruddington. 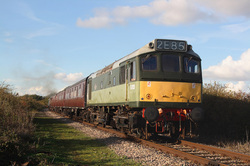 D7629 on the rear of 1D14..15.45 Loughborough to Ruddington. 66730+E6016 on the rear of 1A15 ,16.00 Ruddington to Loughborough about to pass the site of Brush works at Loughborough.